Check out all the best of the week in Issue 111 of the Tech Smart Boss Newsletter. Two consistent themes of our podcast is to automate to scale your business, but to do it with a personal touch (check out Episode 48) and to provide excellent customer service at all times. This week’s Cool Tech of Week will help you do both, it’s Bonjoro! 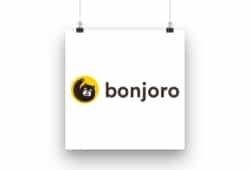 I recently did a trial of Bonjoro and found it to be an extremely easy way to send a personalized greeting, via video, to your leads and/or customers. Now there are lots of tools that can help you send a video via email, but what makes Bonjoro special is their excellent process to the video creation process combined with an amazing user interface/user experience to deliver it to the right person at the right time. You hook it up to your CRM, Bonjoro tells you who needs a video, you record it, add a call to action, and send. Then they give you all the analytics on how the video was received by your lead (with cool like emoji reactions). It’s the simplicity and speed by which you can send a personalized greeting that makes Bonjoro great. What Bonjoro can’t help you with is looking presentable and speaking clearly on your greeting, but those are things I’ll leave you to work on yourself (which is one reason I’m still in trial mode). Check out Bonjoro and see how you can delight your leads and improve conversions with personalized messages.